This essay discusses how the criminal justice system is an important part of the government, allowing for the prosecution, imprisonment, and rehabilitation of criminals. Apart from the court system and police, the criminal justice system has other components like criminal justice agencies that provide additional information for researchers to form studies and articles to help improve the criminal justice system as a whole. This Criminal Justice Essay will help students looking to understand what the system is and what components make up the system. By exploring the core of the criminal justice system, one can understand law and how the government carries out enforcement of the law within the country. What is at the Core of the Criminal Justice System in the United States? Does the Criminal Justice System Need Change? The criminal justice system in the United States has existed since the colonial era. Although the colonial era brought a European form of justice, the United States would later create its own criminal justice system that includes a prison and court system. None of what the criminal justice system is now was conceived or implemented at one time. Rather, it exists as a collection of progressive moments that culminated in what American law enforcement is today. Although American has improved its law enforcement methods, there are problems that have led to a desire for reform. The American criminal justice system has roots going as far back as the 18th century. What began as a rebellion against England became a fight for independence and a chance at true freedom; this freedom brought with it a responsibility to serve and protect. This essay will show how the American criminal justice system has changed from its beginnings in the colonial era to its current manifestation, as well as offer a brief analysis of what has become of the various components of the system from the courts to the prisons and police officers, how these components may have contributed to the racial profiling and profiteering witnessed in today’s criminal justice system. The criminal justice system can be defined as: “The criminal justice system consists of three main parts: (1) law enforcement (police, sheriffs, marshals); (2) adjudication (courts which include judges, prosecutors, defense lawyers); and (3) corrections (prison officials, probation officers, and parole officers)” (US Legal, 2017). Aside from these three main components, there does exist criminal justice agencies aim to help the public and criminal offenders through rehabilitation and additional services. These were not part of the American criminal justice system during the earlier phase of the country. Back then there were no prisons or police officers. The system was based off law enforcement in England and France. The current form of criminal justice system in the United States involves a police force, a court and prison system, and rehabilitation measures. “Normally, the first contact an offender has with the criminal justice system is through police who investigates a suspected wrong-doing and make an arrest. Next is the court, where disputes are settled and justice is administered” (US Legal, 2017). The prison system is where the most changes happened. Although it was not adopted until late into the 19th century and early 20th century, the American prison system was the first system to offer the option to courts to imprison criminals on the state and federal level. Federal prisons provided the option of incarcerating criminals who have committed crimes against the federal government or crimes that affect the country as a whole. But it not in the federal prisons where the problems lie. The main problem lies in the state and local prisons where overpopulation and overcrowding is a continued problem. Here is where many problems in today’s American criminal justice system exist. Back then there existed two forms of prison systems with Pennsylvania and the Quakers having their own form of criminal justice. “Two different prison systems arose at first. Most states followed a New York prison model called the Auburn plan. It was named after the Auburn Prison opened in 1821 as a maximum-security facility. Inmates were locked in separate cells at night but worked in groups during the day” (Bettman/Corbis, 2017). Americans were the first to implement a true prison system and continue to provide a prison system that changes every couple of decades. These changes can as a result to internal government changes like those brought on by the Civil Rights Movement or due to privatization efforts. The prison system became the main means of rehabilitation of criminals in the United States. The court system and police officers aimed to curb criminal activity via arresting and imprisoning criminals. This has led to voices of dissent over American law enforcement. The American criminal justice system has transformed and become one that has met many criticisms. One such criticism is the disproportionate incarceration of black Americans versus white Americans. This has become a hot-button topic and has led for cries to reform the criminal justice system. Along with racial profiling are harsher sentences that have led to continued problems among black Americans in gaining employment and avoiding additional arrests. Racial profiling has led to many problems for the American criminal justice system. Many researchers and journalists have noted the disproportionate arrests and harsh treatments of black and Latino Americans compared to their white counterparts. One article noted how cases like Garner’s help fan the flames of police brutality and racial profiling. In Garner’s case, for example, police targeted him for the petty crime of selling loose cigarettes — the types of crimes black people are targeted for at higher rates — and then attempted to arrest him with a chokehold, banned by the department. Whatever else we have learned from the recent tragedies of police violence, it is clear that we need comprehensive federal, state and local policies that outlaw racial profiling and rein in police excessive force (Natarajan, 2014). It seems cases like Garner’s have increased and provided a harsh light on racial profiling and the subsequent police brutality that ensues. Thanks to the growing evidence of the problems brought on by racial profiling, more and more people have asked the American government to create reform in the criminal justice department, beginning with police officers and their treatment of specific populations. One such areas where Americans want reform is the stop-and-frisk program. “The NYPD’s controversial stop-and-frisk program shows similar evidence of racial profiling, with police targeting blacks and Latinos. In nearly nine out of 10 searches, police find nothing. Likewise, excessive force by police persists despite Constitution’s prohibition on unreasonable searches/seizures” (Natarajan, 2014). Not only is it a wasteful action, leading to potential problems with the public and unnecessary arrests, it perpetuates the fear culture brought on by police officers and their, at times, unfair treatment of people of color. Many accounts exist that highlight the use of such a program to lead to arrests of people that otherwise would not face legal consequences. A simple act of walking away could be seen as combative and police may charge the person with ‘unlawful conduct’ “Racial profiling — as well as profiling based on religion, ethnicity and national origin — continues to plague our nation despite the constitutional guarantee of equal treatment under the law” (Natarajan, 2014). Accounts of racial profiling are seen not just in these programs, but in simple areas like traffic tickets. Police officers may choose to ticket people more based on their race. “Rufus Scales emerged from the encounter with four traffic tickets; a charge of assaulting an officer, later dismissed; a chipped tooth; and a split upper lip that required five stitches. That was May 2013” (LaFraniere & Lehren, 2015). Rufus Scales was simply attempting to talk to the officers and was tasered, fell to the floor, and sustained an injury. After the injury, he had to appear in court where he was charged. Rufus’ brother Devin developed a fear of police as have many black Americans. He even carries a card with him for legal help should police unfairly target him like they did with Rufus. “Today, his brother Devin does not leave home without first pocketing a hand-held video camera and a business card with a toll-free number for legal help. Those pervasive doubts about police mirror those of millions of other African-Americans” (LaFraniere & Lehren, 2015). American citizens like Rufus and Devin should not have to fear the actions of police officers. Police officers are meant to serve as the guardians of the criminal justice system, aimed at preventing and stopping crime at the local level. However, police officers have contributed to the problems of criminal activity by perpetuating the cycle of arrests targeted at non-white populations. As the article additionally states, even if white Americans have twice the amount of contraband, due to being white, they are not searched as often. This leads to the discussion of current trends in law enforcement. If racial profiling is leading to increased arrests and increased sentencing in the court system, what effects are coming from such actions? Although the United States has reduced the use of the death sentence in several areas of the United States, the country is widely regarded internationally as one of the few that retain such punishment within its criminal justice system. “Globally, the trend is also toward abolition. All European countries except Belarus have abolished the death penalty. The United States is among a few countries that retain the death penalty and routinely assign death sentences” (Finley, 2016, p. 163). The United States is also moving towards lengthier sentences and away from rehabilitative efforts. Many that support punitive measures rather than rehabilitative, argue that statistics show that imprisoning criminals work. In its more sophisticated versions, the ‘prison works’ argument is backed by numbingly complex econometric studies that are difficult for ordinary mortals to follow. But it doesn’t hold up, for two fundamental reasons: First, because the data, even those offered by its most ardent proponents, do not really support it: second, and even more importantly, because it wrongly poses the issue in the first place (Currie, 2013, p. 52). Punitive measures may have decreased crime statistically, but it has not improved how the public feels or handles crime. Statistics show one thing and experience and stigma reveal another. Especially when it comes to overcrowding. Overcrowding is a real problem that exists due to the continued prison sentencing of criminals and the harsher penalties incurred. If current trends lead to overcrowding and continued use of the death penalty, at the police level, there are more arrests being made leading to higher cases in court. If the judges and prosecutors favor long and harsher sentences like the three-strikes law sentences that have led to prison terms for seemingly petty crimes, what has the criminal justice system become in the eyes of the American public? Some people say that thanks to the existing trends, the police cannot be trusted. This ring especially true for people of color who are arrested most for drug related crimes (Finley, 2016). More arrests for marijuana possession have led to increased prison time for black American males. Finley notes that continued enforcement of police officers towards imprisoning black Americans for searches that produced small amounts of marijuana or cocaine. Such treatment can be seen as unfair. However, there could be another motive. The biggest recent trend that has grown in the last few decades is privatization of the prison system. The privatization of the prison system has led to reforms politically and socially that have put more prisoners in jail than any other time in American history. Looking at the beginnings of private prisons, one can see how such a change could lead to the current problem of overcrowding in American prisons. While private companies played various roles in American corrections and juvenile justice systems in the past, modern private prison corporations first emerged in the late 1980’s. At that time due to dramatic increases in incarceration rates and in an attempt to reduce spending, the federal government and state governments began turning to private companies for their prison needs. Some states such as Tennessee, even considered full privatization of their prison systems (Finley, 2016, p. 452). Private prisons are quickly growing and becoming a means of gaining more prisoners and turning those prisoners into a source of profit. As Finley (2016) discusses, prisoners coming back to prison often face longer stays, leading to work inside the prisons like assembly and road cleanup. Although private prisons only make up a small percentage of the prisons in the United States, states like Tennessee have shown interest in full privatization. Such privatization of seemingly government controlled areas seems unfair. If there is profit, to be made from prisoners, then police officers, those in the court system, and politicians at the White House may act according to where the money flows. Finley (2016), suggests the overcrowding issue can stem from the need to increase profits from private prisons and the lobbyists from the corporations who go to Congress to change, modify, or add laws. Such actions down the line promote high arrest rates, lengthier sentences, and thus overcrowding situations in today’s criminal justice system. The problem has become so bad that researchers are studying cases where overcrowding and actions to alleviate it have led to risky decisions. “The most studied case is Florida, -despite 25,000 new prison beds, a huge influx of drug offenders during the 1980’s resulted in massive prison overcrowding, forcing the state to establish an early-release program, depositing thousands of offenders back into society” (Currie, 2013, p. 46). Quick releases can be detrimental to not only the prisoners released, but the communities that co-exist with them. If there are no measures in place to help former convicts find jobs, they may turn back to crime. Currie (2013), states those that are released often go right back to prison at a later time due to lack of employment options and resources. One of the biggest changes the American criminal justice system needs is to focus on rehabilitative measures more than punitive measures. The American criminal justice system is one that has existed for centuries. Although its current manifestation is just decades old, it brings with it roots from England and France, with its own unique interpretation of law enforcement brought in through the creation of prisons. While the history of American law enforcement is rich with changes and reforms, it is also rife with problems. The current problem facing the American criminal justice system is racial profiling and harsh sentencing. Black U.S. citizens face increasingly long periods of jail time because of laws like the three-strikes law that have led to overcrowding in prisons and some suggesting use of prisoners as a form of free labor. Some blame this recent problem to the privatization of the prison system where companies make money from the labor of prisoners. Whether this has any effect on how other parts of the criminal justice system work is left for debate. What is certain is the lack of desire in law enforcement to provide rehabilitative efforts to criminals. The harsher and longer sentences as research suggests, does little to alleviate crime in American society. For the American criminal justice system to improve and grow past its current problems, it must look back and see why American needed a criminal justice system in the first place. People wanted fairness and an effective government to combat criminal activity and protect the public. If the criminal justice system fails to do this in the current era, it must make efforts to reform. Reform has existed in the criminal justice system several times from the colonial era, post-American Revolution era, and the civil rights era. Now is the time to offer the public a chance to see true justice come back into law enforcement and provide the kind of protection and fairness people are looking for. To do this, the American criminal justice system must remove the privatization of prisons. They must remove harsh sentencing. They must end racial profiling. They must aim to rehabilitate the criminal instead of penalizing. These are the major changes that need to take place for the criminal justice system in the United States to take hold. Without these changes, people will have a difficult time believing in American law enforcement and could lead to additional problems. This has already been seen through increased racial tension in American society. People who are black or Latino have a fear and avoidance of police officers with black Americans noting their fear to go out in public because of police brutality and increased arrests. If these increased arrests are motivated by profit, steps must be taken to avoid police officers, judges, and politicians from fueling these profits. The American criminal justice system is a complex and ever-changing system. It can endure the injustices seen in this era and transform into one that is fair and equal for all. This essay discussed how the American criminal justice system is just one of many that exist in today’s world. Each country has its own unique interpretation of law enforcement. When looking at America’s criminal justice system, it is important to understand what its roots were and how it has evolved to what it is today. If these essays offer you help in understanding hard-to-tackle topics, feel free to check out other essays for more information. Currie, E. (2013). Crime and punishment in America. Macmillan. Finley, L. L. (2016). Crime and punishment in America: An encyclopedia of trends and controversies in the justice system. ABC-CLIO. 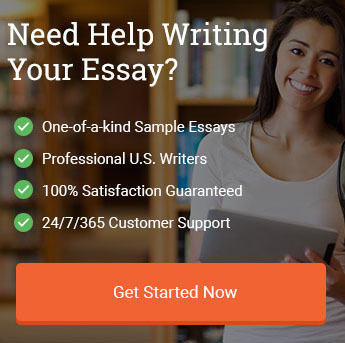 "Criminal Justice System Essay [Free Example]." Aceyourpaper.com. Student Network Resources Inc, 1 July. 2017. Web. 19 April 2019. Student Network Resources Inc. "Criminal Justice System Essay [Free Example]." Aceyourpaper.com. https://www.aceyourpaper.com/essay/criminal-justice-system-essay/ (accessed April 19, 2019).